The Friends of the Hudson Area Library announce their most recent contribution to the collection of the Hudson Area Library. The new summer lineup of books and audio books includes fourteen new adult nonfiction, including three cookbooks, and seven new audio books (three of which are suitable for family listening). The titles were all carefully chosen to reflect our patrons growing interest in these media. The Friends of the Hudson Area Library is an advocacy and support group dedicated to increasing public awareness, literacy and services of the Library. 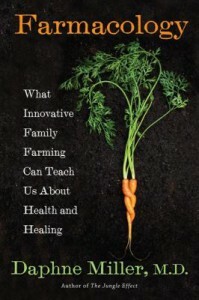 New cookbook titles include: Vegetable Literacy by Deborah Madison; a vegetarian cookbook with 300 recipes as well as descriptions of edible plants and their relationships to one another; Mediterranean Cooking (at Home with The Culinary Institute of America) by Lynne Gigliotti, with over 200 recipes featuring light fare and less meat; and Jerusalem: A Cookbook by Yotam Ottolenghi featuring 120 recipes from Muslim, Jewish and Christian communities. 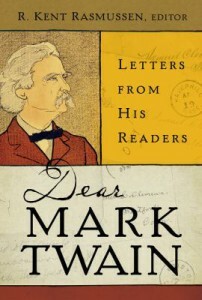 Other new nonfiction titles include Dear Mark Twain by R. Kent Rasmussen: 200 letters from Mark Twain’s fans from around the world reveal the impact he had on his 19th century readers; The Incidental Steward by Akiko Busch, a book that provides reflections on our changing world and how “citizen scientists’ try to bring us closer to nature; The Art of Thinking Clearly by Rolf Dobelli: how to recognize and avoid “cognitive errors” and shape your decision making; VB6 by Mark Bittman, the story about a “flexitarian” diet; Double Double by Martha and Ken Grimes, a memoir told by bestselling author and her son about the struggles of alcoholism; National Geographic Guide to Medicinal Herbs by Rebecca L. Johnson; Farmacology by Daphne Miller, M.D., explains how organic farming can help increase health and prevent disease. 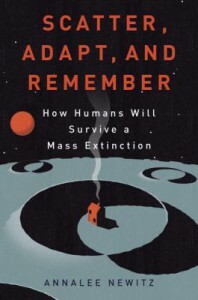 Also on the list are: Scatter, Adapt, and Remember by Annalee Newitz: this book suggests that while the Earth is overdue for a worldwide natural disaster, humans will be able to adapt, evolve, and ultimately bounce back; Tesla: Inventor of the Electrical Age by W. Bernard Carlson: a biography of Nikola Tesla and the contributions he made towards the electrical revolution, including television and radio; Finding Your Element by Ken Robinson: a guide to self-improvement, happiness and personal transformation; and Backyard Foraging by Ellen Zachos: how to identify edible herbs and plants that grow everywhere. Seven new audio books are also available for loan this summer. Three titles are suitable for families and are: The Ocean at the End of the Lane by Neil Gaiman, an adult fairy tale about a young boy who discovers a supernatural secret of the family next door; The Engagements by J.Courtney Sullivan: the tale of four different marriages over a hundred years, while also tracing the tale of diamonds in America; Beautiful Day by Erin Hilderbrand: a novel about a couple planning their wedding while seeing their loved ones lives begin to crumble. Also available on CD are The Heist by Janet Evanovich: a mystery/thriller; Joyland by Stephen King, a murder mystery in a small town amusement park in 1973; Sweet Salt Air by Barbara Delinsky: a tale about two women whose friendship is tested when they join up for a summer to write a book in Maine; and The Shining Girls by Lauren Beukes: a science fiction/crime thriller about the lone survivor of a serial killer bent on bringing him to justice. All titles will be available at the Hudson Area Library or by request online on the Hudson Area Library website and may be borrowed for up to 21 days with a library card from the Mid-Hudson Library System. The Friends of the Hudson Area Library is a 501c(3) non-profit organization and all proceeds from its fundraising go to the library for the acquisition of books and other media and for the development and delivery of the library’s services. For more information about the Friends, including membership and volunteer opportunities, contact the library at 518.828.1792 or visit us on Facebook and Like us. This entry was posted in Adults, Friends, News and tagged books, new titles, non fiction, summer by Cayla. Bookmark the permalink.